These are the first design concepts — one more obviously fleshed out than the other — that I’ve created to deliver the Ecosource-led study of “How Gardens Help Us Grow” in a visually interesting way. I used Adobe Illustrator to create everything, minus a few PNG images I found floating around Google Images. These are not final versions; these are merely my attempts to organize information before I polish them further. 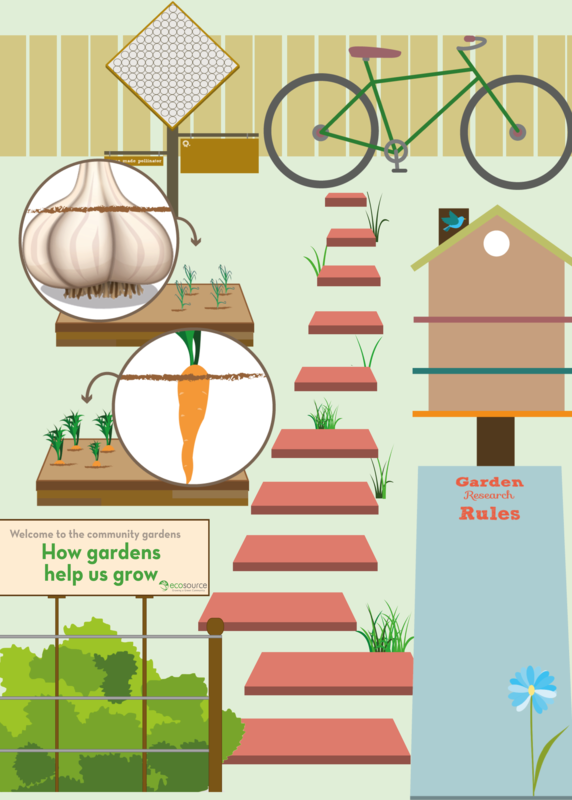 To read the full study on “How Gardens Help Us to Grow” by Carolyn Bailey, Associate Director at Ecosource, please visit: http://ecosource.ca/about-us/publications/.